The spiral vegetable slicer cuts vegetables and fruits into curly, ribbon-like slices. 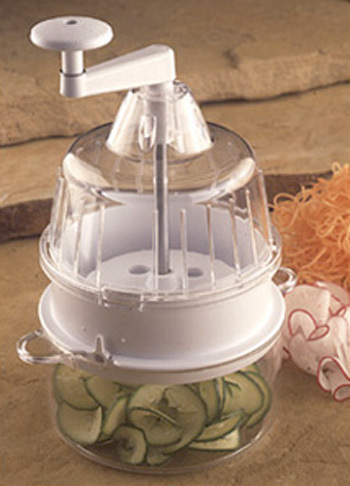 By placing the vegetable or fruit on the prongs of the wheel and turning the wheel while pushing the base toward the vertical julienne blade, continuous spiral strands. 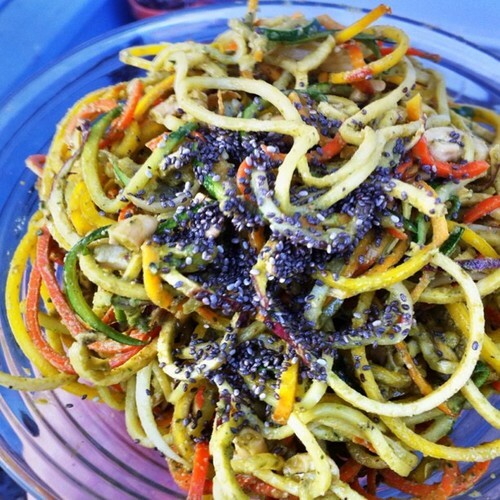 Perfect for making your raw food pasta. 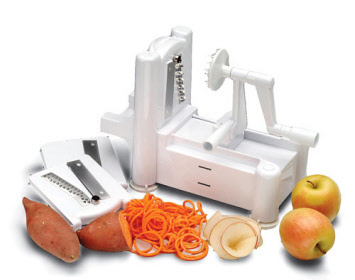 - Make quick work of fancy vegetable peeling with the spiral vegetable slicer. 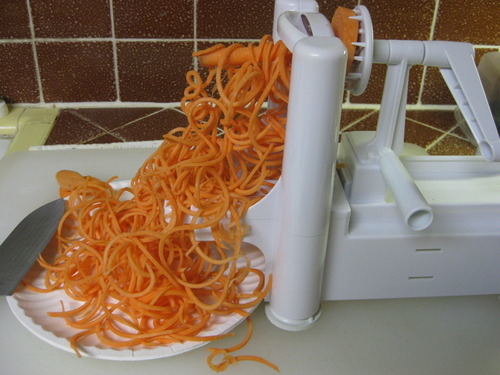 This spiralizer is the only model that makes angle hair noodles. It is truly a versatile tool that creates curly ribbons for garnishes, paper thin slices (just perfect for raw ravioli!) 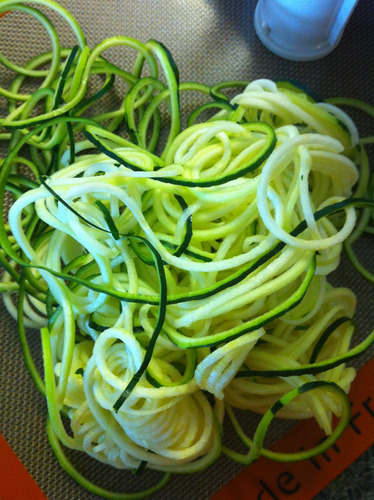 and of course the beautiful zucchini or vegetable noodles - angel hair pasta - for which it is famous. As an special offer when you order one of these handy raw kitchen tools, we will give you a bonus recipe supplement that will have you enjoying making delicious quick and easy recipes in no time.